The Pacific Northwest is God's country, and there may not be any more beautiful slice than Clyde Hill. Literally located upon a hill, Clyde Hill is one square mile of the most beautiful views in the state. Look east, and there are the Cascades. Look south, and there's Mt. Ranier. And west, just across the lake, the glimmering skyline of Seattle. It's no wonder that Clyde Hill boasts one of the state's highest median incomes, with home prices directly tied to the lot's view. There's a massive, 50-year-old Chinese pine in the yard across the street from John Olerud's house. He wants it gone. "I'm just making the point that if you're willing to cut down your own trees to maintain your view and yet you aren't willing to offer that to your neighbor, how is that being a good neighbor? "The Bible says, 'Love the Lord your God with all your heart, soul and strength, and your neighbor as yourself.' That's Jesus' commandment." 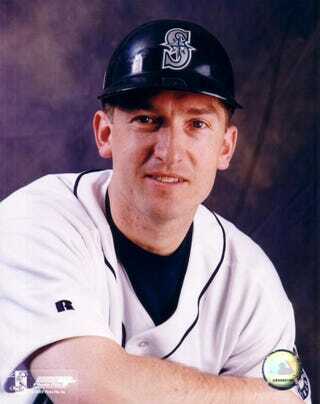 Anyway, here's 1,200 words on zoning laws that wouldn't be news if it didn't involve John gosh-darn Olerud. We're kind of glad it does, because the perils and shibboleths of suburbia are fascinating.